Anne Barnhill is an inspiration to me. She’s courageously battling some health problems, but manages to find time to read, review and write. Rather than complain or feel sorry for herself, she finds joy in life. She also takes whatever comes and mines it for material for new poems, books and insights. Anne is the author of the historical novel At the Mercy of the Queen; a memoir At Home in the Land of Oz, about growing up with an autistic sister; and works of short stories and poems. 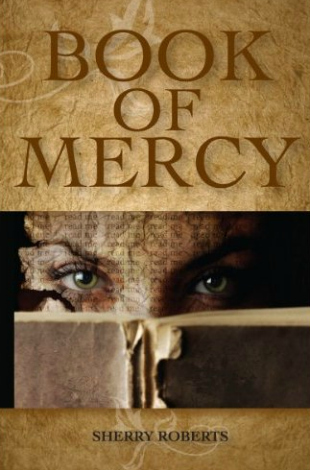 BOOK OF MERCY. By Sherry Roberts. Osmyrrah Publishing. 234 pages. $10 (paperback). 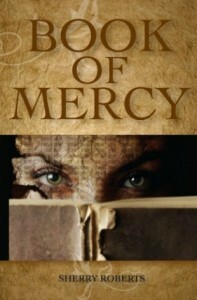 In her second novel, Book of Mercy, Sherry Roberts explores the effects of dyslexia on an adult woman, Antigone Brown, or Tigg, as she is known around the small of Mercy, North Carolina, and how this woman, who has battled books all her life, decides to save the local library from Irene Crump. Ms. Crump has decided she knows which books the children of Mercy should read and which ones should be banned. To Kill A Mockingbird encourages disrespect for authority. Huckleberry Finn has that bad, bad word. And those Judy Blume books talk about, well, everything we don’t want our children to do. As Tigg gears up for a fight, she discovers she is pregnant. Though Sam, her husband, is pleased and protective, Tigg is terrified her child will have the same problems with reading Tigg suffers. She keeps her secret, with Sam’s help, so no one knows the struggle she has to read. Most women don’t learn they’re pregnant and then drive for fifteen hours trying to outrun the idea. Antigone Brown did. Today the open road called to her like a siren. It whispered: Today’s your birthday. You’re thirty years old. And you’re going to have a baby. What if she’s just like you? The fear that the baby will be just like her is what drives Tigg to, well, drive. Sam is beside himself with worry until finally, Tigg returns the next day, sweaty and tired but glad to be home. What she doesn’t tell Sam right away is that she’s picked up a young hitchhiker, and he’s asleep in the guest room. Ryder is on his own at 13, his mother a druggie and his little sister dead from his mother’s habit. He’s filled with anger and doesn’t trust anyone. As Tigg tries to protect the idea of freedom of the press, she and Ryder become dear to each other. This is a light-hearted look at some serious issues. Those interested in censorship and the importance of story to our culture will enjoy reading it. This entry was posted in Southern Fiction and tagged censorship, dyslexia, Southern fiction. Bookmark the permalink.